DK Security’s Sr. Vice President & COO, Sindia Narber, had a full feature article in the Grand Rapids Business Journal recently. Sindia has been such a strong and and humble leader for the company and we are glad to have her leading our team. We hope that you enjoy learning more about Sindia! 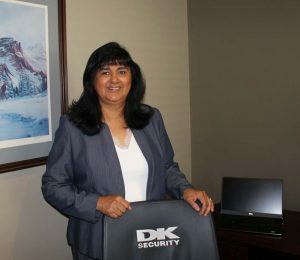 When Sindia Narber talks about her role at DK Security, she returns again and again to the stories of the people around her rather than her own accomplishments. Narber is chief operating officer and senior vice president at Grand Rapids-based DK Security, 5160 Falcon View Ave. 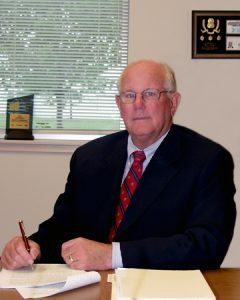 SE, founded in 1995 by Robert DuHadway, a retired FBI supervisory agent, and John Kendall, a retired U.S. Marshal. The firm has 2,000 employees and offices in Grand Rapids, Lansing and Detroit. 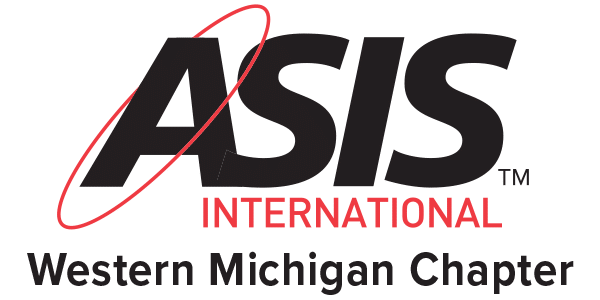 It provides armed and uniformed security, event staffing, executive protection, investigative services and background screening in Michigan, Indiana and Ohio. 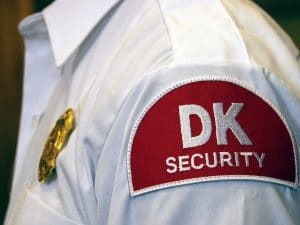 Narber began working in DK Security’s human resources department in 2003.